Don’t take this column for much more than the value of the now-obsolete Canadian penny. Even when you add up tens of them, you’re left with just enough change to buy a cup of coffee. In that vein, I hope this master-brew leaves you with about 10 minutes of introspection, calculation and self-doubt, fuelled by a certain, yet fleeting buzz of energy. And just like that cup o’ joe, hopefully these (un)wise words warm you up, depending on which Western Hockey League team you’re supporting. Given my placement in the nation’s west-central prairie province, a majority of these predictions will centre on the WHL’s East Division and (somewhat less so) Central Division teams. 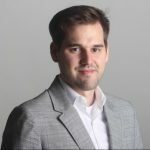 Given the infrequency by which the league’s British Columbia- and U.S.-based teams travel through this part of the country, said predictions for those clubs are absent from this column. Who has qualified for the postseason? Eastern Conference: Moose Jaw, Swift Current, Regina (East Division); Medicine Hat, Lethbridge, Red Deer (Central Division); Brandon (first wildcard spot). Western Conference: Everett, Portland, Spokane (U.S. Division); Kelowna, Victoria, Vancouver (B.C. Division); Tri-City (first wildcard spot), Seattle (second wildcard spot). As of this column’s writing (the afternoon of March 13), all playoff spots in the 22-team league have been claimed, except for one – the final wildcard playoff spot in the Eastern Conference. The Prince Albert Raiders and the Saskatoon Blades are duking it out over that final spot. Each team has four games remaining. The Raiders visited the Moose Jaw Warriors on Tuesday evening, while the Blades travelled to Brandon to take on the Wheat Kings. Final scores were not available by press time. A loss by Saskatoon in regulation time, or a win by the Raiders, eliminates the Blades from postseason contention. That leaves the Raiders claiming a wildcard spot and in a position to overtake Brandon for the conference’s first wildcard spot. The Raiders have one game in hand over Brandon. Their final four games are against Moose Jaw, Regina and Saskatoon (twice). The Raiders have had success against the sinking Blades (twice) and the Warriors (thrice) this year. Through six games against the Warriors this season, the Wheat Kings have won just once. Aside from its Tuesday night home game against Saskatoon, Brandon finishes its season with two back-to-back games against Moose Jaw. Count on the Raiders to steal the first wildcard playoff spot from the Wheat Kings and cross over to play the Central Division’s first-place Medicine Hat Tigers in the first round of the playoffs. That leaves the Wheat Kings to play – and fall to – the Warriors in the first round of postseason play in the East Division. But don’t overestimate the Warriors; they’re not as good as what their record indicates. Watching them play, the Warriors resemble more of a collection of individual stars than a team that plays as a cohesive unit. If the Raiders only mange to grab the Eastern Conference’s second wildcard playoff spot – and thus face Moose Jaw in round 1 of the playoffs – they’ll eliminate the south Saskatchewan team in six games or less. 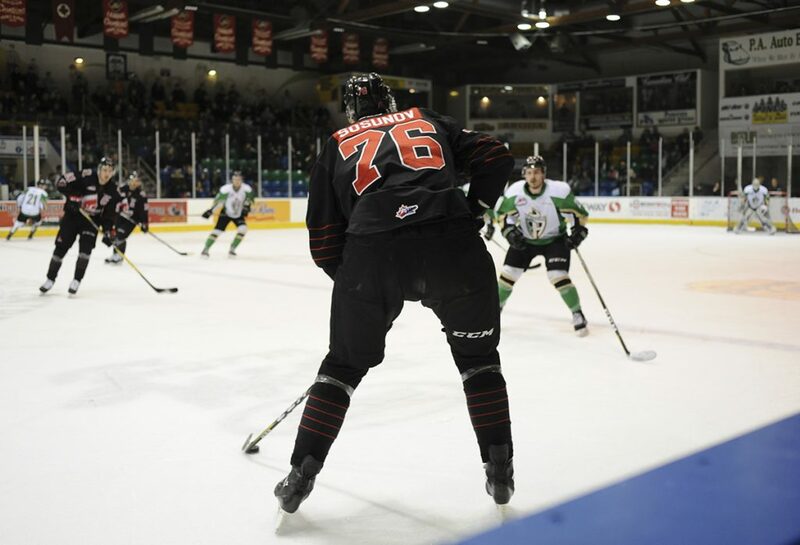 Moose Jaw’s fast, highly-skilled players cannot compete with or handle the Raiders’ heavy forechecking, which usually flusters and foils the Warriors’ game plan to the point they don’t know how to counter it. Beware the Red Deer Rebels. They’ve clawed their way out of the depths of the Central Division to secure what will likely be a third-place finish, landing them a round 1 playoff contest against the Lethbridge Hurricanes. I can see the Rebels taking this series in seven games. They define what it means to be a hard-working team that doesn’t quit. 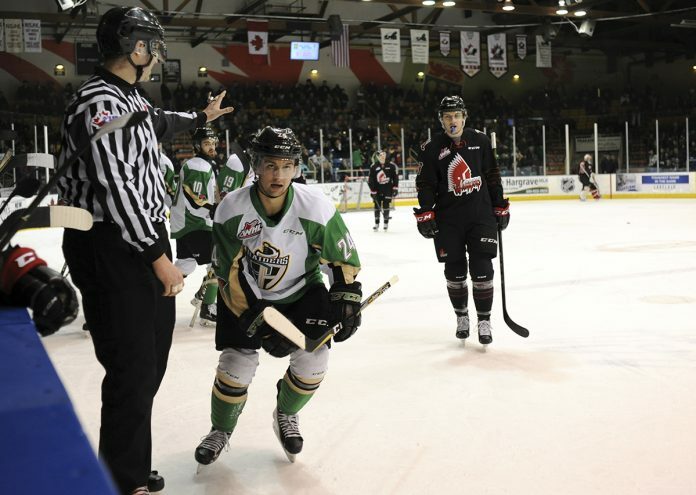 The Rebels once beat the Raiders in Prince Albert, coming back to force overtime for the win on Jan. 30; they also forced overtime, but lost the game, on Jan. 6. They have the right mix of speed and heavy, physical play (similar to the Raiders’ brand of hockey). Assuming netminders Riley Lamb and Ethan Anders continue their dependable, at times game-saving play, the Rebels are bound for round 2 of the playoffs. Expect the Raiders and the Rebels to meet in the second round of the playoffs. Each team will push the other to the brink. Raiders win the series, barely, in seven games and advance to the Eastern Conference finals. The big, bearded, imposing, mentally-intimidating Swift Current Broncos defenceman is a game-changer on the backend for his team. He and fire-fuelled left-hander Tanner Nagel are the gritty, nasty grinders the Broncos lacked through their postseason run last year. 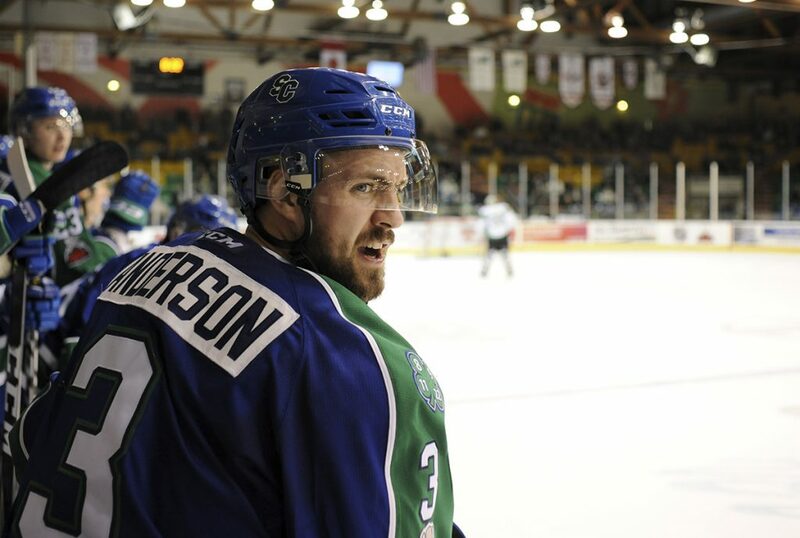 Anderson has a knack for getting in his opponents’ heads (I’ve witnessed it firsthand when in between the Raiders’ and Broncos’ benches at the Art Hauser Centre). Add bonafide scorers Giorgio Estephan, Matteo Gennaro and Beck Malenstyn to the already potent firepower of Glenn Gawdin, Tyler Steenbergen and Aleksi Heponiemi, and you’ve got a near-unstoppable mix of forwards. Don’t look too far past defencemen Colby Sissons and Artyom Minulin, both very capable scores, too. Swift Current also has that rare, yet prized commodity: Skaters with experience of last year’s gritty, hard-fought round 2 playoff exit against the Regina Pats in seven games. Think that Sahvan Khaira, Kaden Elder, Gawdin, and co. have forgotten about that? Ha. Don’t count on it. The Broncos will eliminate the Pats in round 1 of the playoffs in six games or less; revenge, experience, grit, firepower and nastiness (when needed) are on their side. If Swift Current faces Moose Jaw in round 2, that could pose a tougher challenge for the Broncos. They have four wins (two in regulation, one in a shootout and one in overtime) against the Warriors, while Moose Jaw has beaten them four times, all in regulation time. Swift Current could win this series, but the Broncos will need seven, long, tough games to do it. The Broncos and the Raiders will meet in the playoffs, either in the Eastern Conference final round (more likely), or round 2, the conference semifinals (less likely). Each team knows how to test and beat the other. Each team knows its identity and plays within its constraints to the best of its abilities. The Raiders have two wins, four regulation losses, one overtime loss and one shootout loss to the Broncos. Two of those regulation losses were by one goal. These two teams know each other very well. Their eventual playoff series against each other will be an entertaining, thrilling chess match. Broncos win this series in seven games; the seventh game is decided in overtime. Will be a team from Saskatchewan, likely the Swift Current Broncos. The prospect of playing for a Memorial Cup just a short, two-hour drive east to Regina on the trans-Canada highway is incentive enough for the speedy creek club. Don’t be surprised if this team goes all 1989 on the league.